Senior citizens of the parishes of Slaugham and Staplefield gather twice a year for a meal, a chat, and many cups of tea. 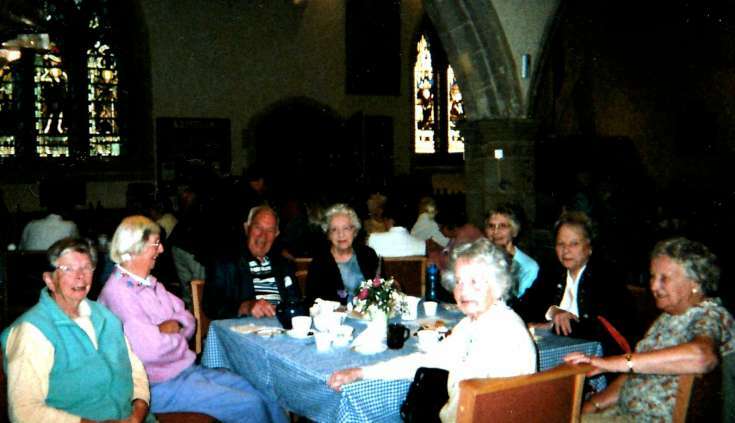 The photograph shows one of these events at St Mary’s church, Slaugham. Clockwise round the table, from the left they are Brenda Rowe, Beryl Marks (née Chamberlain), Ernie Arnold, Elsa Cheeseman, Phyl Mortimer, Eileen Marchant, Daphne Verlander and Betty Wadey. Select Large Version for a close up.